We moved to the United States back in mid-January, 2019. On February 5th, Feyma and Chris started working at Tyson. The house is very quiet during the hours that Feyma and Chris are at work. Frankly, I feel pretty lonely. For the nearly 20 years that we lived in the Philippines, there were very few times that the house would be empty. There were always plenty of people around. Sometimes I longed for some “me” time, but now I am experiencing the opposite. We have 3 kids, all boys. Chris is our oldest son, he is now 27. Chris still lives with us here in Indiana. Chris works with Feyma (my wife) at Tyson. I enjoy spending time with Chris, but when he and Feyma are gone to work, I am alone here. Aaron is our middle son. Aaron is 22 years old. Aaron lives in Atlanta, Georgia and he works at a bank. I try to talk to Aaron several times each week on the phone. However, I try not to overdo it on the phone calls, because I am sure that Aaron is enjoying developing his independence. I don’t want to stifle that. Jared is our youngest, he is 19 years old. Jared worked in Alaska for about a year, but recently left his employment there, and has moved to Atlanta as well, and is living with Aaron. Jared has only been back in the “lower 48” for a couple of weeks now and is getting some rest. He is applying for work there in Atlanta. Again, I have been talking to Jared on the phone a few times per week. During his year in Alaska, it was hard to talk to him due to his work schedule, the remoteness of where he was, and so on. As he starts work in Atlanta, though, I will give him more space for his own things, and his personal development. The two boys are planning to come up here to Indiana to visit us in May. I am really looking forward to that. While living in the Philippines, we took in 2 girls. Both of these girls are blood relatives, nieces. Jean came to live with us when she was 7 years old. In 2017, she left to go out on her own, she was 21 years old. So, at that age, it was time for her to venture out on her own and get on with her life. Jean is in college now, and we do get a chance to chat on Facebook, but she is busy much of the time. Nicole also came to live with us at the age of 7. She is 15 now. When we moved to the Philippines, Nicole went back to live with her parents. I try to chat on Facebook with Nicole whenever she is around. Feyma and Chris are gone for their work for about 11 hours per day. I try to go out and do things during some of those hours. However, their shift goes from mid-afternoon until about 1:30 AM. They usually get home around 2 AM, sometimes later. I am not really a “nightlife” guy, I am more of a homebody. During the late afternoon, I usually do go out, though. I will go for a long walk most days, go buy some groceries if we need them, or whatever things need to be done. Sometimes Feyma might need me to go pick up something for her, and I am happy to do that. But, usually, by the time that it is 6 or 7 PM, I am home, and I feel pretty lonely. I am just not used to being around the house by myself after having a house full of people in the Philippines for so many years. After 7 PM or so when I am home, I usually do my work during those times. Writing. Working on websites. Working on product sourcing for Amazon and eBay. That kind of thing. But, while doing all of that, I just feel lonely. I have always loved kids, and there really are no kids around anymore. I guess that since 1991, when Chris was born, this is the first time that I have not had young kids around in the house, and I miss it. I keep telling Feyma that I want to have grandchildren. But, none of our sons seem to be anywhere near getting married or having kids. In the Philippines, for about 5 years, I was Santa Claus at a number of Malls and other venues, and I really enjoyed interacting with the children. I plan to do some Santa gigs here in the States too, and that is something I am really looking forward to. But, Christmas is a long time off yet. 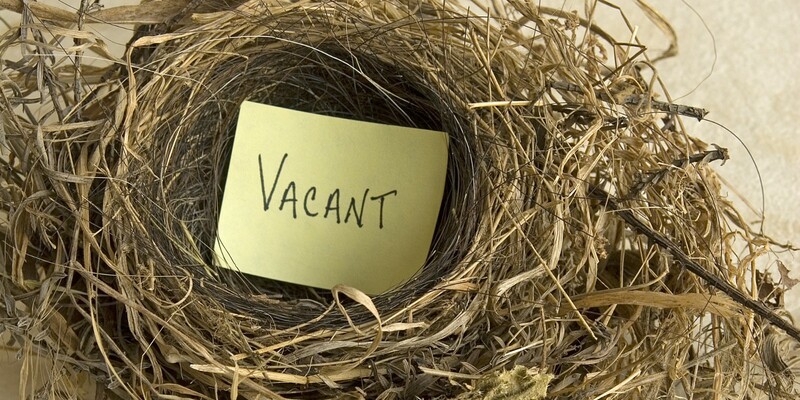 In my entire life, I have never thought about the “Empty Nest Syndrome”. I guess I always kind of thought of it as a woman’s thing. But, I was doing some research about it earlier and learned that men experience it too. 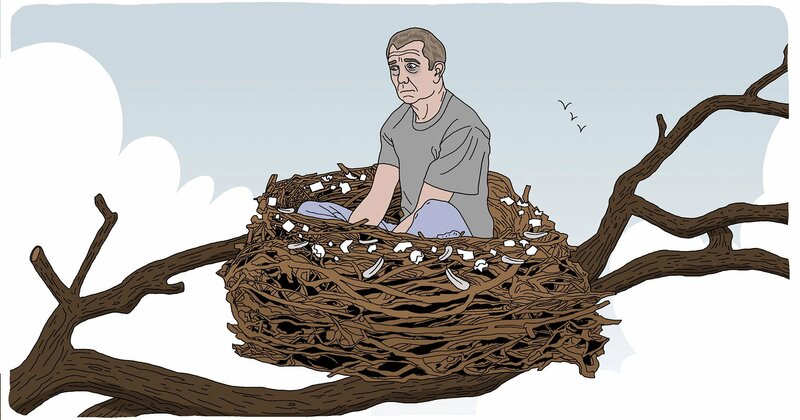 I can say that since moving back to the States (especially since Feyma and Chris started working) I am really experiencing the empty nest syndrome. I really look forward to weekends, because Feyma and Chris are almost always off on Saturdays and Sundays. But, weekends go by quickly, followed by the weekdays of an empty house. I find myself in a kind of strange situation, a place I have never been to before. I suppose it is part of the aging process. I don’t like it, though. Probably I need to make more friends here locally. I have one very close friend, LeRoy. I have known LeRoy online for years, met in person for the first time about a year ago, and have been pretty constant companions for the past several months. LeRoy is always great to talk to or help me out in a situation that I might not fully understand (still adjusting to the cultural change of returning to the USA). I also met another guy a couple of months ago, Jim. Jim is one of the bus drivers for the local public transportation here. One day I was riding the bus, and Jim and I were talking, and it turns out that we each lived within a few miles of each other in Louisiana back when I lived there. I was in High School at the time. Jim lives just up the street from me, and we already talked about having a barbeque together when the weather is more consistently warm. Jim seems like a good guy, and I would like to see our friendship grow closer. I have met a few other people while riding the bus too, but just acquaintances, not a huge prospect for developing a friendship, I think. But, who knows? Have you thought about getting your ham radio license (you had one in the past, didn’t you?) and joining a local amateur radio club? It’s a great way to make new friends, both in person and remotely via radio. Hi Mark, that is an interesting idea that I had not thought of. I had a ham radio license up until about 30 years ago, but to be honest, I just don’t think I have that much interest in it anymore. It is something to think about though. Thank you for the suggestion. You can get a pet! I would love to get a pet, especially a cat. It has been years since the last time I did not have a cat. However, in the place that we are renting, we are not allowed to have pets. We hope that next year we will buy a place, and then I will certainly have a pet. We still have those good memories of Philippines. We are still trying to get Hanna in U.S.
She is almost 21 and graduating as an RN from UM. She knows me as “Dad”, but legally she is niece. We leave tomorrow for Davao to be at her graduation. We will be there for a month. I am originally from Indianapolis, but left there when I was 27. I’ll keep an eye on your articles. Enjoy your trip back to Davao. I hope that you are able to bring Hanna here at some point. I know it is difficult. We also have a niece that we hope to bring here someday. Good to hear from you, I hope you are doing well. Was wondering if you thought of bringing either of your nieces over. Would love to do it, but how? Under US Immigration laws it is more or less impossible. Can they come for school, or to be your seeing eye helper? Unfortunately, that is unlikely. We are trying a few things, but it is very hard to do this. Getting back into Ham radio might be a good idea as another poster mentioned. I have not been on Ham Radio since around the year 2000 as I spend most of my time here on the internet. My own observations in recent years indicate that cell phones have replaced the repeaters that used to rock around the clock years ago. The Internet has replaced a lot of HF activity. There are still a lot of clubs and activities and getting a license has never been easier as there is no more Morse Code exam and testing is now done by clubs and volenteer examiners so you don’t have to go to an FCC office. At the peak of ” Repeater Mania ” I had 3 repeaters going here. one for 2 meter voice and RTTY, one for Packet Radio and one for UHF FM. I was fortunate to have coordinations for them at that time. All 3 of them are now off the air as their use dwindled down to next to nothing. I still have my license and keep track of the next renewal date which I think is some time in 2025. Good luck Bob I am sure you will come up with things to keep you fully occupied LOL. For me, technology has moved on. I am sure people really enjoy it, though. I can understand why you may not want to get a ham license. I have mine and and other then using it to and from work. I work a little HF every now and then. If I was single I would most likely spend more time with it. My wife is also a ham and when she first got her ham license we used it more in place of using cell phones and still do when she needs to reach me when I am running errands. I enjoy it. But with family and such do not always have the time to play with it. I just really don’t have an interest in the hobby anymore. I’m thinking of retiring in the Philipines with my wife. She’s still there and we’re working on her Visa, not for her to live here, we both want to live there but for her to have just in case an emergency comes up here she will be able to come here with me. Do you mind if I ask why you moved back here to the states? if it’s personal I understand. I was just curious. Hi Wayne. We moved back for many reasons. One reason was that we lived there for 20 years, and we were ready for a change. The biggest reason? Read this article: Chris in the USA. I followed you when you were in the Philippines – I mean “followed” as in ‘online’ (I am NOT a stalker!). My idea would be for you to think about doing some voluntary work – just a few hours a week and maybe increase it if you like doing it enough. You obviously love children and perhaps a school needs helpers – maybe a hospital. I know your ‘lonely time’ is more the evening and schools would be closed by then, so perhaps the hospital is a better idea. Or perhaps a youth club type facility. I am British so not really aware of how voluntary work pans out in the US. The main thing is that you match the fact that humans are social animals (although I am actually a loner and can spend hours alone) and you obviously need those connections. The radio ham idea seems great if that is an interest, but it is still in one way a ‘solitary’ past-time. Apart from the voluntary work ideas above, there must be sports’ clubs (bowling perhaps) available. I think it does not need to involve a huge amount of time – even an hour a day would give you the connections you desire and require. And sometimes ‘connections’ lead to more connections. LoL, no worries, I don’t think you are a stalker. Yes, I would enjoy doing some volunteer work, and I think I might look into that. There is certainly a lot of volunteer work here. I used to be somewhat of a loner, but I have grown used to being around a lot of people. I think you are right, even just occasional get togethers would be great! You can volunteer in your Parish Church, especially if you are Catholic. Hello Dee, thank you for your suggestion. We are not Catholic, but I’m sure that our church would still be happy to have a volunteer. Hi Bob, great to hear from you again!! I am working here in New Orleans for my cousin, maintenance at a apartment complex, many of the kids, call me pawpaw, I am in heaven!! I’m too old to help with homework, but, they teach me about fb, and social media, I tell them of my travel and life! Hi Gerard. Having kids around is something that I really miss. They really do bring joy to life. Keeping enjoying life, and teach those kids a thing or two. They will remember you in later years when the lesson you teach to them becomes apparent to them! Glad things are going well. Followed you when you were in Davao. My wife is from Davao City just like here or there it’s up and down emotionally. There’s things you miss and things you don’t. I found myself counting the days to come home due to being bored especially at night. I wanted to go out and just ride around but the scooters weren’t mine and you know how they have to lock everything up. We were last there in 2016 and have purchased a small lot on Samal. I’d like to retire there and be the American Biker like British Biker on youtube. Here is better on many things but it’s better over there on other things. The manners and respect for people there is so much better. But finances here are better as there more spread around and there’s usually help for people by the state here. I guess my nest will be adding another bird in 7 mnths never thought at 47 I’d have another. There you go Bob ! Tell Feyma you need another child hahaha see what she says. I lived outside of Atlanta in Douglasville, GA I thought traffic was bad then. My great Uncle ( grandfather’s youngest brother ) still lives in Austell. More crazy there then Davao but lots of jobs. Well just keep going out , maybe there’s some people who want to learn the language or Pinoy social clubs. We have a Christmas party every year and it gets bigger every year and this is rural Vermont. I don’t miss that many things from the Philippines, just some of the people that I was close to. Both places have advantages for sure. I agree that financially it is better here. Good work here, lots of jobs available. Every place I go has a “Help Wanted” sign in the window.